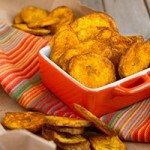 Baked green plantain slices topped with Indian spices for a balanced belly. 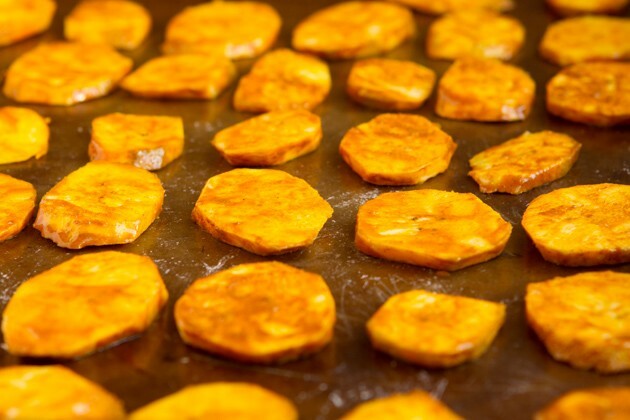 If you’re all about that crunch (aka you’d rather not share your potato chips with anyone) you should try switching up your salty snack routine with a reliable source of clean energy… plantains! Rich in dietary fiber, vitamin C, vitamin A and potassium, these banana doppelgangers are rich in resistant starch, a prebiotic that promotes the growth of good bacteria. Wait, did the low-carb girl just recommend eating plantains? YES! My high-fat journey was never about completely removing carbohydrates, it was about being smarter about how much I ate and when I ate them. If you’re practicing a high-fat/low-carb eating style, these chips are best enjoyed at the end of the day, preferably on a day that you’ve worked out. If you don’t overdo it on the carbs, you can slide right back into fat burning the next day! Magnesium! We all need it. Really, we do. So many of the things we do on a daily basis use up this precious mineral. A deficiency in magnesium can display itself in many ways. Things like muscle soreness, inability to fall asleep, increased anxiety or stress, constipation and more. You drink dark carbonated beverages, even stevia pop. The components bind with magnesium during digestion. You treat yourself to sugary things once in awhile, anti-nutrients that strip the body of magnesium. You live in the year 2015 with loads of stress everywhere. Calming your body requires magnesium. You drink caffeine, even in the form of tea. Caffeine is excreted through the kidneys and the whole process requires magnesium. 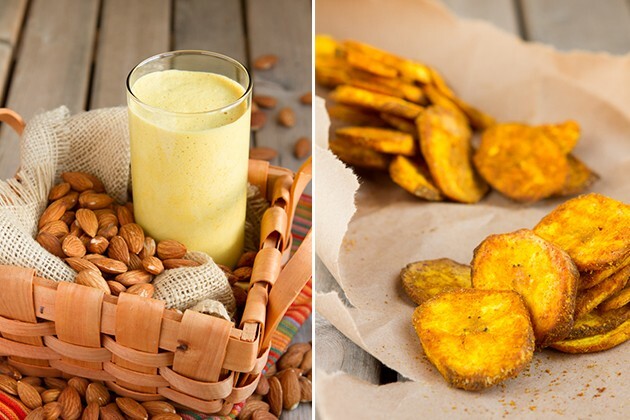 Today’s recipes go a step further by providing another precious nutrient to your gorgeous body, turmeric. Turmeric is a powerful component to a healthy eating style, an ingredient you can pick up from practically anywhere. It’s benefits include reducing inflammation, boosting brain activity, promotes a youthful glow, lowers heart disease risk and reduces rogue cells (aka cancer). 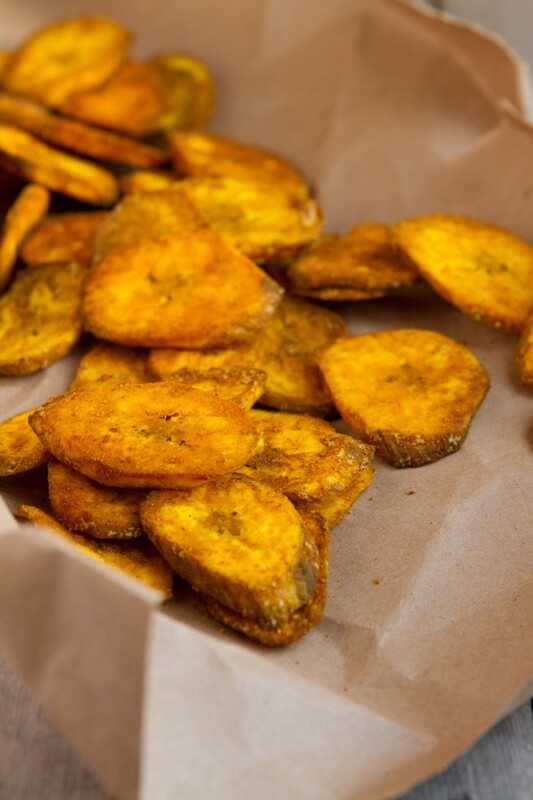 The first, crispy green plantain chips coated with Indian spices and baked. Green plantains are a paleo-friendly carbohydrate that promotes healthy gut bacteria! … did I mention they’re crunchy and salty? 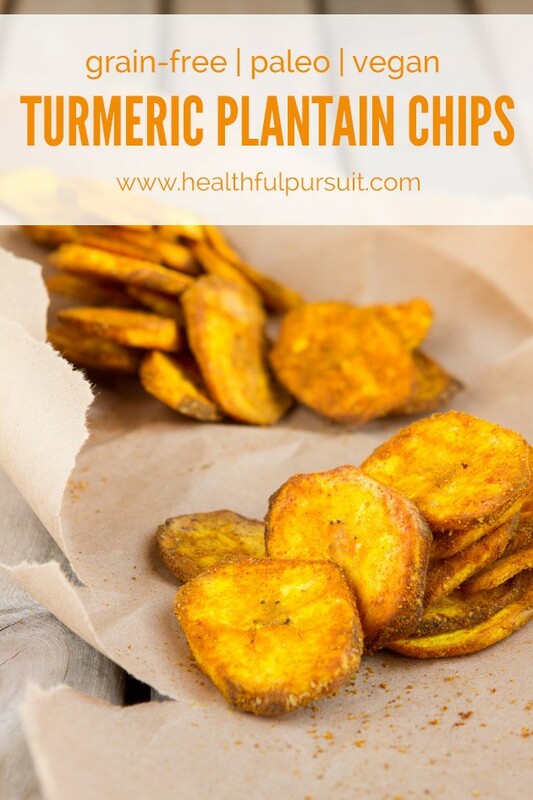 I shared the Baked Turmeric Plantain Chips recipe on Organic Connections this month. Get the recipe here. The second recipe is a turmeric-rich drink. If you’re already supplementing with Natural Vitality CALM before bed, today’s bedtime recipe will add some variety to your practice, especially if you’ve adopted a high-fat eating style or are interested in burning fat while you sleep. Get the recipe here.